In 2015, on the occasion of its 35th anniversary, the Working Group on Enforced and Involuntary Disappearances traveled to our country to hold periodic meetings. It held meetings with human rights organisations and various State bodies working on the ground to prevent and guarantee justice in each case of enforced disappearances. The expert group concluded that Argentina is going through a process of construction of memory, truth, and justice, linked to the actions carried out by the de facto state during the last military civic dictatorship between 1976 and 1983; necessary to document for its preservation and as a tool for other countries with problems similar to those that happened in my country. However, human rights organisations are concerned about the disappearances that still today, under a democracy, occur; most of them linked to the police forces, lags of the dictatorship itself. Victims are mainly poor and vulnerable young people, such as the Miguel Bru, who disappeared and was murdered by the police in 1999; Iván Torres, disappeared in 2003 in Chubut; Jorge Julio López, disappeared in 2006; and Natalia Acosta in 2009, among others. Forced disappearances are an atrocious, generalised, systematic crime, covered by clandestinity and denial, where in most cases there is no information about the circumstances of the disappeared person more than the last place where she or he was seen in freedom, and the anguish of the relatives and friends of not knowing the fate of the victim. Although enforced disappearances, as a practice of state terror, was used in the 1930s in El Salvador and then in Nazi Germany, the term was first coined by family and human rights organisations in Latin America. In 1975, the international community received from Chile the first reports on the thousands of detainees with unknown whereabouts, without any response from the responsible authorities. A few months later, they received similar reports from Argentina, Guatemala, and other countries in the region. Meanwhile, diplomats representing the Latin American military dictatorships argued that the mothers of the disappeared were “crazy” and that they should not be heard. However, in a landmark decision, the practice of enforced and involuntary disappearances was condemned by the United Nations General Assembly in December 1978, and work began on forming of a Working Group that would maintain a direct and fluid dialogue with the relatives of the victims. On 29 February 1980, the UN Commission on Human Rights established the Working Group on Enforced and Involuntary Disappearances, as one of the first Special Procedures appointed by the UN, and with a fundamentally humanitarian mandate: helping the relatives of the detained and missing persons to find out their fate and whereabouts. We, the mothers and the grandmothers, who were already coordinating actions together with mothers from other countries, met in 1981 in San José de Costa Rica and in Caracas, Venezuela, to create a non-governmental organisation, independent of any institution, whether political or religious. The Latin American Federation of Associations of Relatives of Detained and Disappeared Persons (FEDEFAM, for its acronym in Spanish) was born. And as FEDEFAM, we accompanied the Working Group during its visits to the countries where they received reports of enforced disappearances, visits in which they maintained interviews with organisations, relatives, and victims. All of them (the members of the Working Group) showed a very serious commitment, even to those members who came from far away places and with little knowledge of our history found it very difficult to understand such aberrant facts, such as Professor Ivan Tosevsky, who acted as Chair of the group in the beginning, making valuable contributions. In the last 37 years, the Working Group has not only devoted itself to clarifying and investigating cases of enforced disappearances. It has carried out a comprehensive analysis of the human rights affected by the disappearances, such as the rights to life, liberty, personal integrity, judicial process, and the well-being of the family; and has adopted a clear definition of enforced disappearances, now in force in national and international law and jurisprudence, with a specific focus on the responsibility of the state actors involved; among other contributions made in the area of ​​reparation and justice. 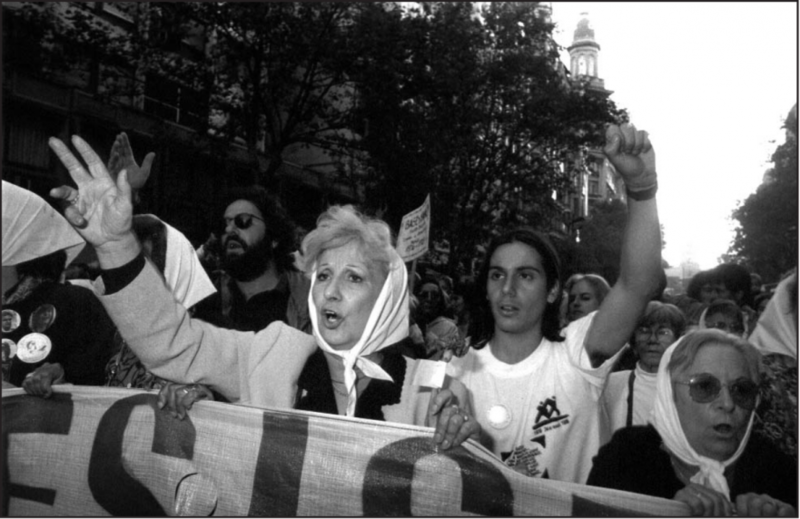 In the case of the Grandmothers (Abuelas) of Plaza de Mayo, the Working Group has worked for the enlightenment of the cases, and search, of our grandchildren stolen during the last military civic dictatorship, who live with the lie about its biological origin and history, and who are our living disappeared persons. I am pleased to mention that the Working Group has devoted important paragraphs in one of its last General Comments to the particularities of the disappearances of children, making progress in this area. Since the creation of this special mechanism of independent experts, there has been a commitment to accompany and work with FEDEFAM in the various requests to the United Nations for the approval of the International Convention for the Protection of All Persons from Enforced Disappearance, and the subsequent commissioning of the Committee to monitor the implementation of this Convention in the States that ratified it. As well as the joint work for the adoption, in 1994, of the Inter-American Convention on Forced Disappearances, adopted In Belem do Pará, Brazil, with constitutional status in our country along with the international treaties on human rights. These achievements were made several years later and overcame multiple instances of the States that wanted to limit their responsibilities in the practice of disappearances. In 2006, the aforementioned treaty was approved in the United Nations Assembly, in 2010 it entered into force, and in 2011 the Committee against Forced Disappearances began to operate. During the black years of the recent Argentine history and with the incipient democracies, the relatives of the disappeared were silenced, we were excluded from our social circles, for many, the family itself. We were the parents of terrorists, guerrillas. At that time we had to go out and seek help outside our country, to the international community and, above all, to report on human rights violations that occurred on a daily basis. After 34 years of uninterrupted democracy, having traveled through different processes in matters of truth and justice; the mothers, relatives, grandmothers, and former detainees disappeared recognise the fundamental support of the international community in a decent and committed performance with the human rights, in the liberation of state terrorism, and the elucidation of crimes against humanity. That is why it is our task to urge states to ratify international conventions for the protection of human rights, to allow in-house work of the Special Procedures of the United Nations, and especially to accompany the families of the victims by sharing our collective experience of seeking justice without revenge and in peace. Feature Photo: Grandmothers of the Plaza de Mayo. Many young people approach the Grandmothers. Society begins to listen to the subject of the appropriate children. Estela Carlotto leads a march for truth and justice. 1990 © Argentina. 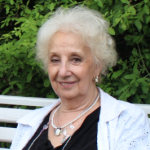 This blog was originally written in Spanish with the intention of being an intervention by Ms Estela de Carlotto during a regional consultation conducted by the Universal Rights Group, Amnesty International, and the Jacob Blaustein Institute in Montevideo, Uruguay on February 11 and 12, 2017.